Interested in doing an exchange semester one day? Would you like to get new international friends? 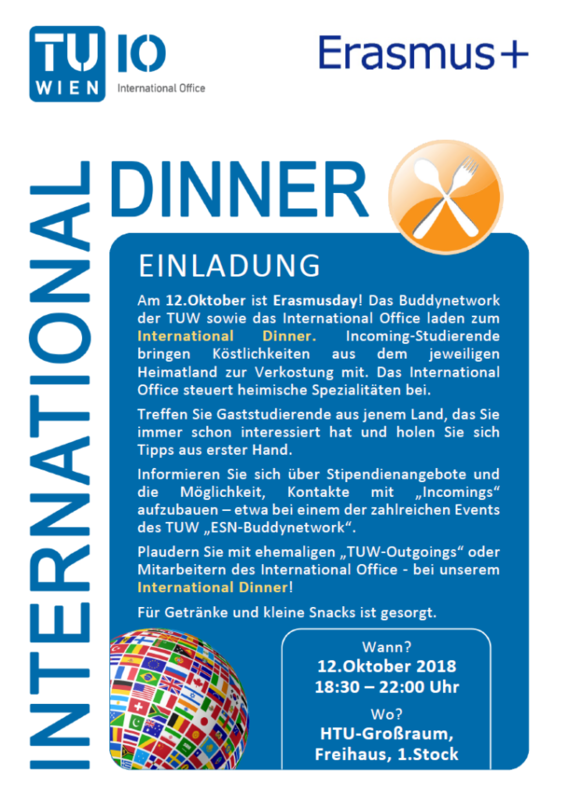 Come to the International Dinner organised by the ESN-Buddynetwork and the International Office of TU Wien! Chat with exchange incomings all over the world and try their national dishes. You can find out more about doing an exchange semester there too! Previous Post:Willkommen im neuen Semester!